Small commercial environments provide ample opportunity for energy savings if only because small commercial owner/operators do not have the time or the resources to explore energy efficient applications. Utility rebates are ignored and simple energy efficient applications aren’t implemented. 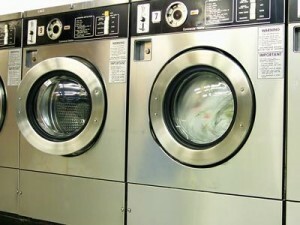 As a result, the market penetration of high-efficiency clothes washers into the coin-operated multifamily and laundromat sectors has been challenging, even though high efficiency clothes washers average 30 gallons less in water consumption, at a tremendous savings to the owner/operator. These challenges center on the unique structure of the market (leased versus owned equipment) and difficulties in reaching the key decision makers. UCONS won a California bid to provide services to this market in 2006. The Commercial Laundry Program (CLP), under the auspices of UCONS and Pacific Gas and Electric based in San Francisco, California, focused on breaking these market barriers making use of networked organizations to interface directly with multifamily and laundromat owners/operators, high efficiency clothes washer manufacturers/distributors, and market-specific equipment leasing organizations, known as route operators. These efforts have taken place in Pacific Gas and Electric’s service territory, in the mid 2006 and 2007, installing over 3,000 energy efficient washing machines.